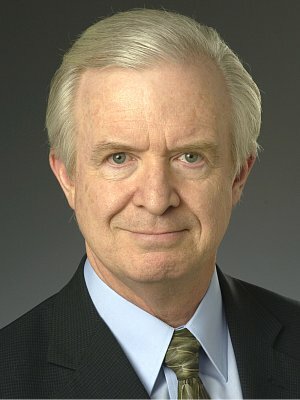 John J. Nance brings a rich and varied professional background to American Healthcare and the cause of Patient Safety. A lawyer, Air Force and airline pilot, prolific internationally-published author, national broadcaster, and professional speaker, he was one of the founding board members of the National Patient Safety Foundation in 1997. John is a native Texan who grew up in Dallas, holds a Bachelor's Degree from SMU and a Juris Doctor from SMU's Dedman School of Law, and is a licensed Texas attorney. Named Distinguished Alumni of SMU for 2002, and distinguish Alumni for Public Service of the SMU Dedman School of Law in 2010, he is also a decorated Air Force pilot veteran of Vietnam and Operations Desert Storm/Desert Shield and a Lt. Colonel in the USAF Reserve, well known for his pioneering development of Air Force human factors flight safety education, and one of the civilian pioneers of Crew Resource Management (CRM). John has piloted a wide variety of jet aircraft, including most of Boeing's line and the Air Force C-141, and has logged over 13,700 hours of flight time since earning his first pilot license in 1965, and is still a current pilot. He was a pilot for Braniff International Airlines and a Boeing 737 Captain for Alaska Airlines, and is an internationally recognized air safety advocate, best known to North American television audiences as Aviation Analyst for ABC World News and Aviation Editor for Good Morning America. Before joining ABC, John logged countless appearances on national shows such as Larry King Live, PBS Hour with Jim Lehrer, Oprah, NPR, Nova, the Today Show, and many others. He is also the nationally-known author of 19 major books, five of them non-fiction: (Splash of Colors, Blind Trust, On Shaky Ground, What Goes Up and Golden Boy); plus 13 international fiction bestsellers: Final Approach, Scorpion Strike; Phoenix Rising); Pandora's Clock; Medusa's Child; The Last Hostage; Blackout; Fire Flight; Saving Cascadia; and Orbit. Pandora's Clock and Medusa's Child both aired as major, successful two-part mini-series on television. He is also the author of the highly-acclaimed 2009 book for American Healthcare entitled WHY HOSPITALS SHOULD FLY, which won the prestigious "Book of the Year" award for 2009 from the American College of Healthcare Executives. John J. Nance has become one of America's most dynamic and effective professional speakers, presenting entertaining and pivotal programs on teamwork, risk management, motivation, coping with competition, and other topics to a wide variety of audiences, including business corporations and healthcare professionals. He and fellow author Kathleen Bartholomew (Ending Nurse-to-Nurse Hostility - Why Nurses Eat their Young and Each Other), present vital programs on Quality and Patient Safety to Hospital Boards, Physicians and Physician Leaders and Hospital Management Nationally and Internationally. He is a pioneering and well-known advocate of using the lessons from the recent revolution in aviation safety to equally revolutionize the patient safety performance of hospitals, doctors, nurses and all of healthcare. Whether we measure it in terms of reimbursement, patient safety, service quality, market share or provider satisfaction, there's no question that the landscape of healthcare delivery is being as violently reshaped as if a great earthquake were roiling the terrain. And though we hate to admit it, when your once-familiar world has been upended, it is very hard to be calm and methodical enough to ferret out the right path to survival - especially if those steps are non-traditional. That is why tough and confusing times demand voices and influence from outside the institution - calm, incisive voices that can dramatically boost the urgency of the wake up calls needed to spark a Renaissance. Providing that energizing wakeup call is precisely what this Keynote (and any expanded seminar or half-day version of it) is designed to do: To spark, inspire, and incite the cultural and clinical, financial changes you need to surf this tsunami. It is, in other words, designed to be a powerful aide to your efforts to get your "army" marching in the right direction, and for the right reasons. The Return On Investment is immediate, especially considering how little time remains to make changes that depend on the buy in, and true ownership, of your rank and file. This presentation builds on the reality that American Healthcare is, in fact, a gigantic and complex Non-System, and that to achieve real patient safety and quality of care in such a chaotic environment requires building healthcare for the first time into a coherent, interactive system. Inclusive in this revolutionary approach is the fact that the American Hospital cannot serve the patient's best interests as long as it continues in the tradition of Ben Franklin (the creator of the first American Hospital) as an institution built only for doctors, not patients. The hospital MUST become a true unified entity in which even the outside physicians consider themselves an integral and proud part of the team - rather than independent practitioners merely renting space for their patients in a farmer's market. In addition, this lecture highlights the essential role of the physician as a leader (rather than a commander) in orchestrating the amazingly effective shift to Collegial Interactive Teamwork based on open communications, caring and trust. How the hospital board and C-suite become essential to this process of change - and how it can all be torpedoed by a chief financial officer who refuses to understand the broader human effects of each cost-cutting decision - will upend your previous understanding. Why Hospitals Should Fly has become a runaway best seller in healthcare worldwide, and this presentation - recommended for 1.5 to 2.0 hours - not only explains why, but rallies the troops for immediate change. John's book Why Hospitals Should Fly ( ACHE's 2009 Book of the Year) sparked a nearly unanimous question across American Healthcare: "How? Agreed, we should be like the safe, happy, and cost-effective St. Michael's hospital depicted in the book, but how on earth do you begin the process of change? How do you start the journey?" That is precisely the question this lecture deals with - and answers - using specific methodologies, recommendations, and strategies to help you spark an energized internal determination to be the best. This dynamic lecture takes you with great clarity into the heart of exactly what steps must be taken by senior and middle management to lead your people to break free of the "Way we've always done it" syndrome. It gives virtually everyone in the American Healthcare setting a crystal-clear understanding of what has to be done, and in what order, to create a unified institution whose members from bottom to top are truly dedicated to zero harm, the highest quality of care, communication, teamwork in its highest expression, and a common level of ownership. The average board of directors of the average American Hospital is facing a forced revolution, inclusive of a measure called Sarbaines-Oxley that - when passed by Congress - will impose individual personal liability on each director. It is not enough by half for a board to be concerned about patient safety - boards are primarily and individually responsible for each and every medical decision made in their institutions, and contrary to traditional practice, attempting to simply hand that clinical responsibility to the physicians opens the entire institution to ruinous lawsuits and public condemnation. Few board members understand these things, because the medical world has been changing so fast beneath their feet. This lecture will revolutionize the way your board looks at its duties and will delve deeply into the cause-effect relationship of the board's actions, or inactions, and the right of their hospitals' patients to be free from unreasonable risk of inadvertent harm. With patient safety disasters (i.e. medical mistakes) now the 4th leading cause of death in the United States, these issues must be faced and acted on, not just debated. This is a pivotal wakeup call presentation best utilized in off-site board retreat settings.